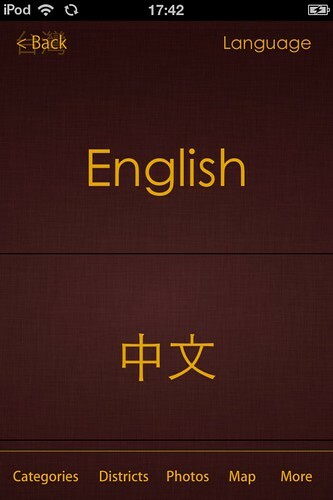 All location entries have the address in pinyin and Chinese (useful to show taxi drivers! 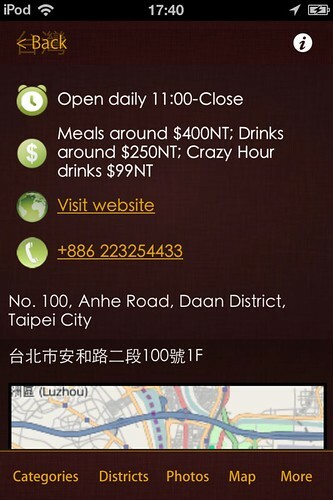 ), phone numbers, prices, and websites when available. 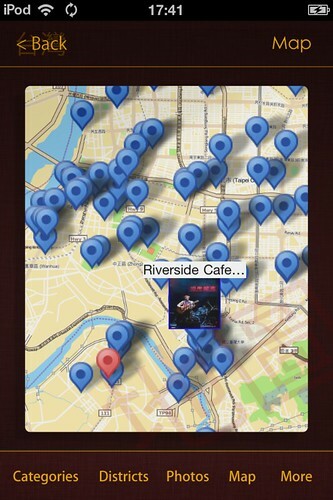 The Guide has maps showing your location, and the nearby arrtactions. Tap any pin for more information. 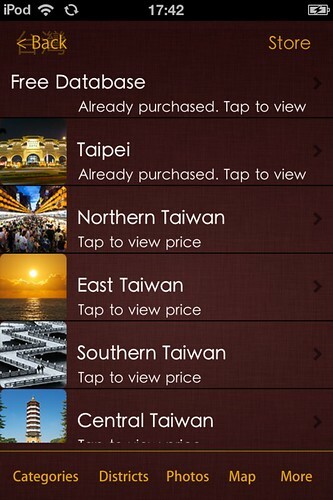 The APP has five different sections covering all of Taiwan. 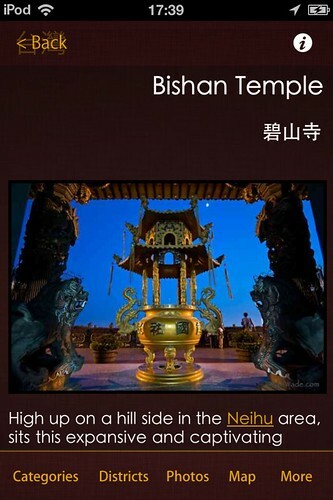 And all of the information is available in English and Chinese! 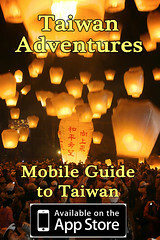 The Taiwan Adventures iPhone Guidebook APP will be updated regularly with new restaurants, new scenic locations and new secrets, so why not download it have always have an up-to-date guidebook in your pocket?!?! You can also get more information on our facebook page. Looks like a brilliant app, great work! Will definitely share the news around my network. Here is an effort that is worthwhile and very useful.